Imagine that you had the perfect seats at the ultimate National Football League (NFL) game, Super Bowl XLVII. Not only are Super Bowl tickets hard to come by, but these particular tickets were something extraordinary. You were about to watch two great coaches, Jim and John Harbaugh, who also happen to be brothers, go head-to-head in what was sure to be an unforgettable game that was nicknamed the “Harbaugh Bowl.” It is the first Super Bowl in the Mercedes-Benz Superdome since Hurricane Katrina. Emotions were running high and you and your fellow fans couldn’t wait for the game to begin. The first half was everything you’d hoped it would be – you were watching the Super Bowl, LIVE! After halftime, the players retook the field and on the second half kick-off, Jacoby Jones ran it back for 108-yard touchdown, pushing the Baltimore Ravens to a 22 point lead and promising an interesting second half of football. Coming into the third quarter, unexpectedly, the power went out, shutting down the lights and leaving the stadium in total darkness. You turned to your fellow fans in disbelief; no one understood what had just happened. The lights remained off and the game came to an abrupt stop. After a long 34 minutes, the lights came back on and suddenly the momentum of the game had shifted. The San Francisco 49ers brought the score to within two points. While they did not execute the comeback, they came close. The final score of 34-31 gave the Baltimore Ravens their second Super Bowl win. This lead to a singular post-game discussion: Can an equipment malfunction change the outcome of the big game? No one remembers that this was the “Harbaugh Bowl.” No one remembers the almost comeback. No one remembers that this was the first Super Bowl played in New Orleans after the devastation of Hurricane Katrina. Unfortunately, this game is simply referred to as “the Super Bowl when the lights went out.” Eaton is on a mission to change this, and to make sure the game is always the focus. 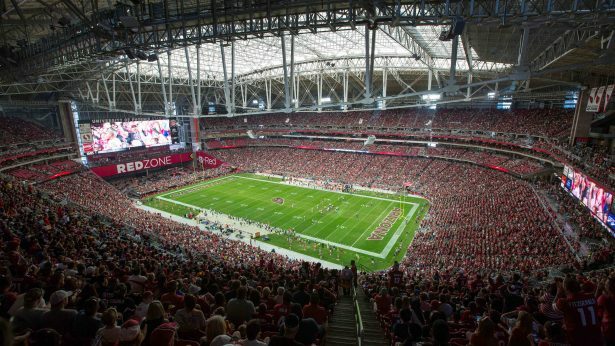 Eaton’s Ephesus Lighting business makes light-emitting diode (LED) sports lighting solutions with a belief that its lighting solutions contribute to a “brighter, more vibrant and more sustainable environment.” We recently chatted with the lighting team to hear how they were able to relight the Super Bowl using SOLIDWORKS and revolutionize major sporting stadiums across the USA. 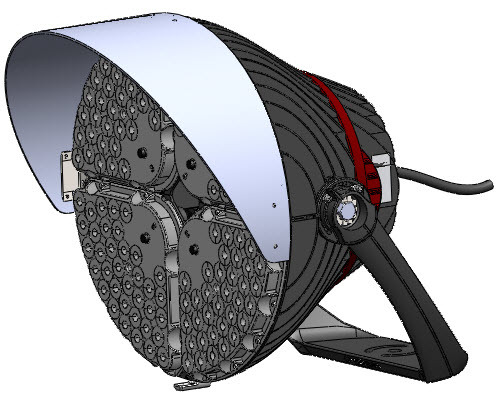 The transition from chips to producing fixtures was made using SOLIDWORKS to help with the fixture designs and SOLIDWORKS Flow Simulation for thermal analysis. At that time, the team was producing things differently compared with the market. 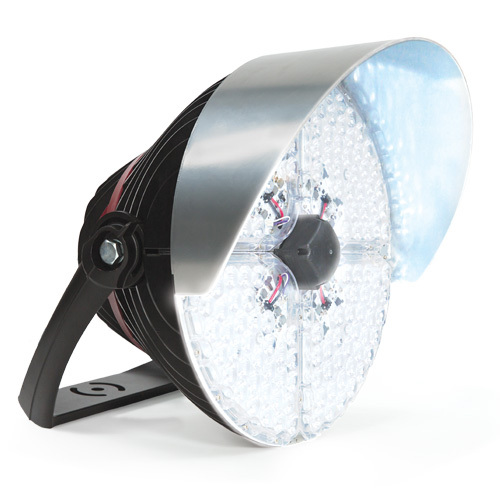 Jeff states, “We were pushing much higher power through LEDs so they were accordingly much brighter and also much more rugged to withstand harsh environments. Thermal management is a key piece of the design.” Luckily, many members of the early engineering team came from Lockheed Martin, a global security and aerospace company, so they were experienced with robust designs. One of the first fixtures could be fully submerged in water and still function after it was removed. 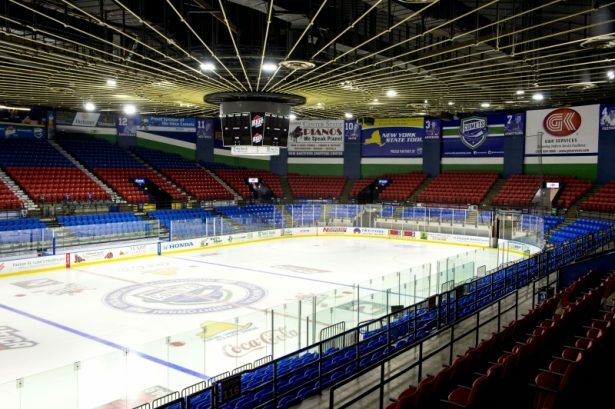 After word got out about this revolutionary way of working, Eaton’s founder of the Ephesus product line, Joe Casper, was approached and asked to help with lighting an American Hockey League (AHL) rink, conveniently located near the company’s incubator space, and accepted the challenge. The development team had a tight design cycle of six months in which they had to design, build, ship and install fixtures in the arena. It was a huge success. Operators of the AHL facility said, “It was the first time players could see the puck really well during the game, and there were no shadows on the ice.” This generated a lot of interest from the network of AHL venues and the team started creating more sports lighting solutions and became focused on the sports lighting market. Converting from this traditional metal halide technology to LED resulted in massive savings for the stadium. The number of fixtures was reduced from 780 to 312 and an impressive average of 277 foot-candles was generated on the playing surface, nearly doubling the previous lighting levels. The light was precisely projected up to 620 feet from the source, while maximum/minimum uniformity improved to 1.2. The system wattage was reduced by 929,000 watts, providing an estimated energy savings of up to 75%. Additionally, the remarkable increase in light output and uniformity on the surface greatly improved the HDTV sports broadcasting experience. Camera operators no longer need to adjust their equipment to vividly deliver the game to viewers watching at home. Committing to another short design and install cycle, the team jumped at the opportunity and were able to get the new LED lights installed before the start of the football season. 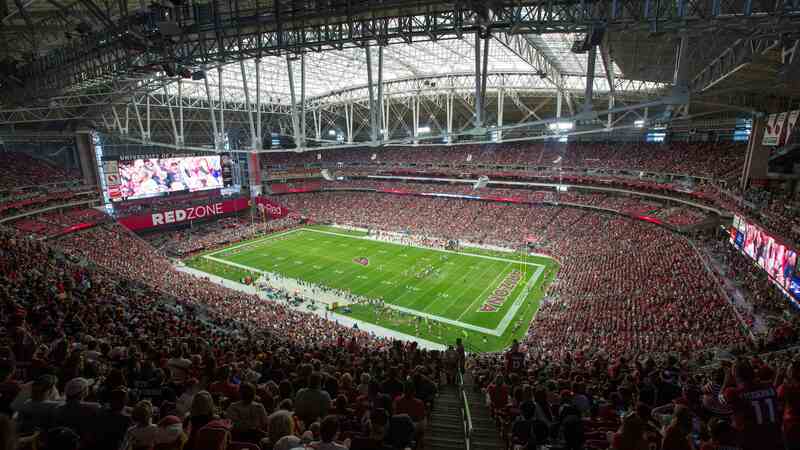 The Arizona Cardinals ran the old lighting and the Ephesus LED system side-by-side for a short period of time and then during the season, they were confident in the system that they took out the old lighting system and replaced them with the LED lighting solution. Jeff and the team are also involved in an accelerated technical program called P-TECH for the Syracuse City School District. Joe Casper and his wife Amy, director of supply chain, supported the program early on and later formalized this mentorship program. The program invites students to sign up and during their first two years, they take their normal high school classes along with some technology classes. When they start their 11th grade year, they take freshman engineering courses at a local community college. The program is an amazing opportunity, allowing the students to graduate with both a high school diploma and an Associate’s Degree in either mechanical engineering or electrical engineering. 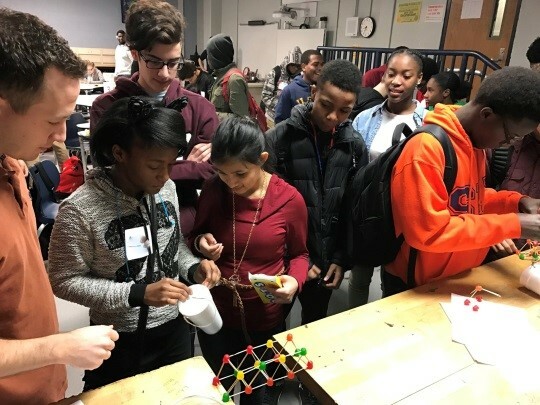 As mentors of the program, Eaton sends their engineers on-site or invites students to come to its offices and engage in activities such as “building a bridge of gumdrops to support a maximum weight, or participate in a resume day where we help them by providing pointers on their resumes,” explains Jeff. This type of mentoring isn’t new to Tyler Morris, who mentored a first robotics program with his previous company: “This program allows me to explore my own passion and think about the things I enjoy and share them with the students, all while asking the same questions of them. What do they enjoy? 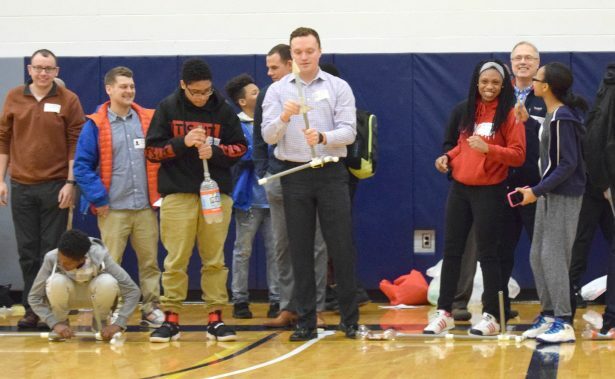 When they answer that, we allow them to explore their interests and really think about engineering and the different challenges that it involves.” This incredible program is clearly inspiring students. “They sent us thank you cards after we invited them for on-site training and one of the students wrote something like, ‘I love mechanical engineering now and I really want to be a mechanical engineer based on what you guys presented to us,” stated Tyler. As always, thanks for reading! Next time you’re watching the game, keep an eye on the lights – it’s possible they were designed in SOLIDWORKS by a once-small and determined company with a fantastic new approach.